The base of the ancient Mayan wisdom is their calendar, the Tzol-Kin. A month has 20 days and each day carries a specific quality. All their knowledge and wisdom comes from observation of nature, so the “20 Nawales” as they call these 20 days are archetypical qualities that can be easily grasped in it´s basic meaning, but from there one can go deeper and deeper as they are very profound and complex as well. Iq, the wind, for example is light and airy and represents freedom and independence. Kawoq, the turtle on the other hand, stands for a very grounded energy and walks slowly but surely. The Mayan Calendar system is not only a tool to measure time, it´s a guideline for every situation in life: family and social life, individual growth, health and well-being work and finances, my material and my spiritual life. Being connected to an expression of mother nature on a daily basis means to be part of nature, to feel one with Mother Earth. It´s inherent in the Mayan culture to respect Mother Earth like our own mother. We are her children, she nurtures us and offers beauty and joy. A bird can bring the message I´m looking for. The lake can give me the answer I´m seeking. The ancestors are my guardian angels and therefore I am never lonely because I am alone in the sense of I am all-one. All humans carried this wisdom at one point, the problems we are facing in our world today are due to our disconnection from nature and from ourselves. It is a miracle that the Mayan wisdom is still alive and available to us after centuries of persecution. Even more incredible is the fact that the Mayans feel like sharing it with us, after what the white race has done to them. 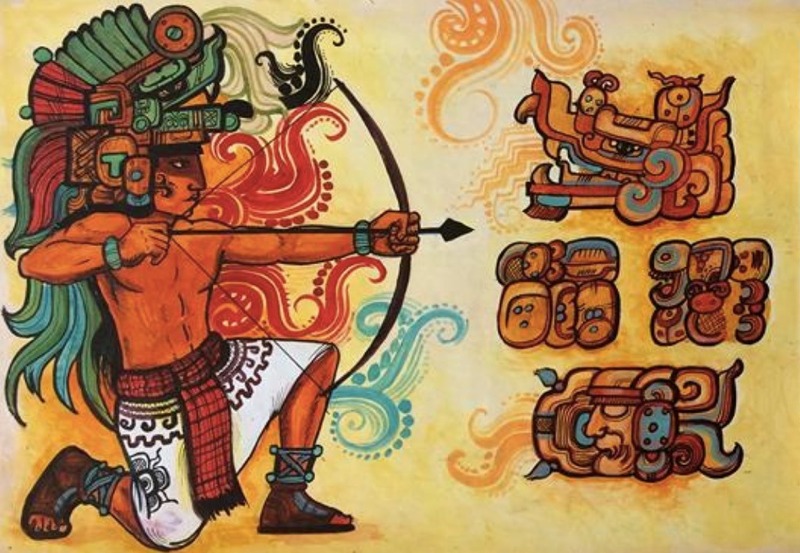 The Mayan Cosmovision is a cultural treasure beyond our rational understanding. We should take advantage of the possibility to learn from the Maya how to live a life in harmony with our surrounding and ourselves and express our appreciation for this ancient wisdom, which after thousands of years is still so incredibly valid today! Meet Hilda this November in the Mayan village of San Pedro La Laguna, where she lives on beautiful Lake Atitlán. We will participate in sacred fire ceremonies and learn how the Mayan Cosmovision influences the indigenous people today in their efforts to protect the fragile ecosystem of their Mother Lake. Learn more about our journey Guatemala: The Mystical Maya. 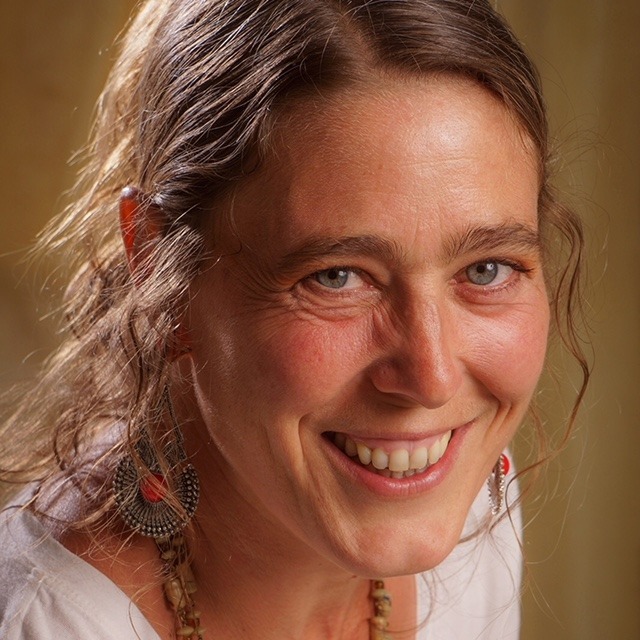 Originally from Austria, Hilda Resch has lived in an indigenous village in Guatemala since 2005. A visual artist, she was initially interested in Mayan art. However, soon she was spellbound by the meaning behind the aesthetics. Today Hilda is in contact with Mayan priestesses and priests, whose ceremonies she regularly attends. Moreover, she lives according to the day qualities of the Mayan calendar, which she finds enriching in every regard. 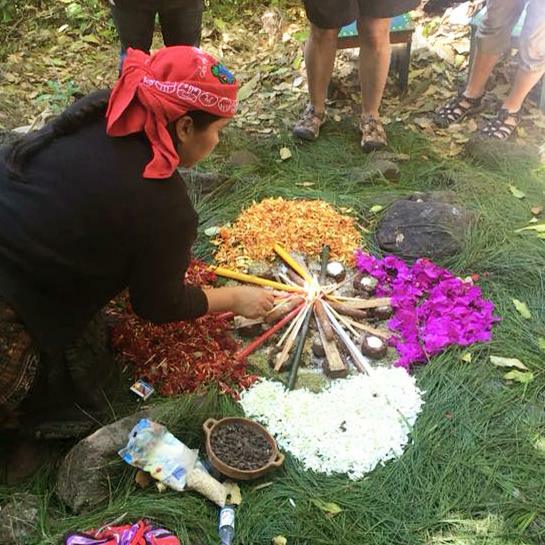 Hilda translates ceremonies and healing work with Mayan spiritual guides and offers workshops and lectures on the Mayan Calendar at lake Atitlán. During her visits to Austria she holds seminars on self-healing techniques based on the ancient wisdom of the Maya. Hilda Resch sees herself as a bridge between cultures and offers outsiders insight into the fascinating world of the Mayan traditions.